Come December 24, the majority of shoppers across the UK will have headed indoors for the festivities, hung their stockings on the mantelpiece and put their feet up. But, while Christmas shopping draws to a close, this doesn’t mean retailers can take their well-deserved rest quite yet. In fact, there’s a vital opportunity out there for those who are switched on and ready to make the most of the post- Christmas period. 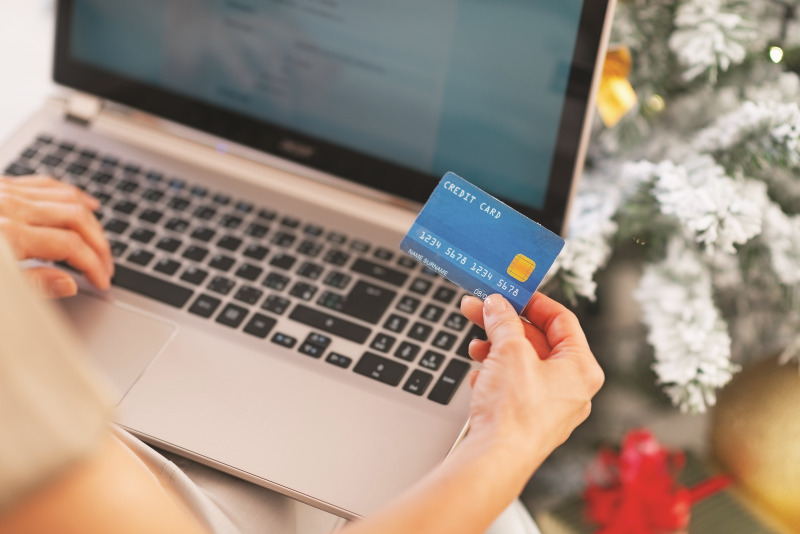 Whilst the trend for heading to the high-street to make the most of the Boxing Day sales may now be something of the past, there are plenty of active shoppers online, and home and garden sellers stand to benefit: from December 25-31 in 2016, ebay.co.uk saw nearly three million searches in the Home, Furniture & DIY category alone. Not only does this period of family, friends and excess mean more shoppers are tempted to make their purchases from the comfort of their living room, for many, it’s an opportunity to think about the big-ticket purchases to improve their homes for the new year to come. Last year, “sofa” was the most searched term in the Home, Furniture and DIY category from December 25-31. It almost goes without saying that it’s crucial to know your audience. Start by harnessing the data at your disposal from online platforms – such as shopper behaviour and customer purchase patterns – to get a picture of their habits, wants and needs. This insight can then be used to make informed predictions about your shoppers’ future purchases and tailor the customer experience accordingly. For example, if a customer has recently purchased a side board, think about luring them back with a coffee table or dining set in a similar style. Or if you know someone’s a dab hand at DIY, why not inspire them with the latest fittings and tools to tackle their New Year projects head on. According to searches on ebay.co.uk in 2016, the peak search day for the Home, Furniture & DIY category during this window of opportunity was Wednesday, December 28. Indeed, from the 26th to the 28th, overall category searches increased by 35% and searches for “wardrobe” specifically rose by 28%. By using shopping data and understanding specific customer behaviour, you can gain a greater understanding of how to manage your inventory effectively and be ready for these trends ahead of time. Online retail offers sellers the flexibility to approach customers in a timely and meaningful manner, connecting with them with the right product at exactly the right moment. At times when so much of your competition will be online, it’s important to make sure your virtual shop window and products are grabbing shoppers’ attention and standing out from the crowd. Think about how to make your listings more attractive to customers – from using high quality photography to writing detailed product descriptions. Between Christmas and New Year on ebay.co.uk last year, big-ticket times, such as sofas, sofa beds, coffee tables, chest of drawers and desks, featured in the top search items in the Home, Furniture & DIY category, with “shed” being the most searched-for item in the Garden & Patio category. With these big purchases at the top of the sofa-shoppers’ lists, it’s more important than ever that your listings are convincing. And remember, the devil’s in the details – from the size, shape and material of the product, to method of delivery, make sure you wrap up all the information your shopper might need to make their purchase. And don’t forget, the listing description also affects how easily shoppers can find your products. Adapt your description to meet the needs of your customers: if you are catering to families, include relevant keywords to demonstrate this, as well as the ones appropriate to your product. This means your inventory will be more likely to show up in searches. For instance, if you think a particular shed would be a great fit for a small garden, make sure your listing highlights this – the more relevant keywords you provide, the more visibility you’ll get for your products. After a hectic build up to Christmas, many retailers may be tempted to put their feet up until the January sales kick in. However, the opportunities in the Home & Garden sector during this period are simply too great to miss. To really capitalise on this trend for sofa shopping, make sure you remain nimble and fleet of foot; have the right products in place for customers, and let the right people know about your stock at the right time.